Check out the unique character of this smooth natural gold nugget from the Fairbanks area of Alaska. It was found years ago by a family of prospectors. All of the natural gold nuggets I sell are jewelry/investment grade, which is the highest grade natural gold nugget you can buy. 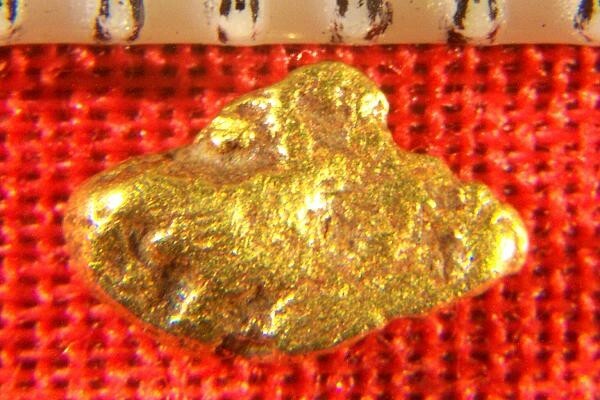 That is the grade of this gorgeous small Alaska gold nugget specimen. 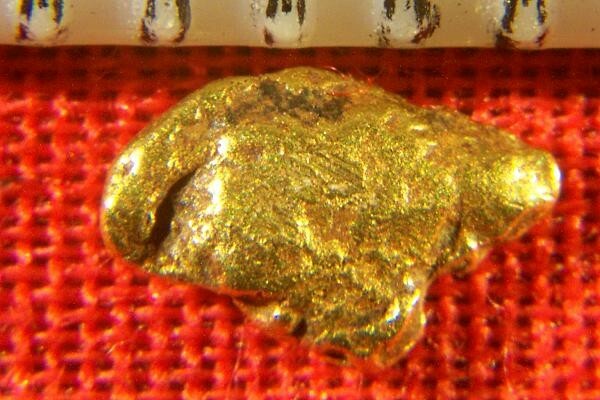 This beautiful natural gold nugget weighs in at 3.5 Grains (0.23 Gram). It measures 1/4" (6 mm) long and it comes with a certificate of authenticity.It has beautiful color, a super nice shape and would make a great investment or a wonderful inlay onto a jewelry piece. It is 92% to 98% pure (22 KT to 23 KT). A super nice natural gold nugget from Alaska.